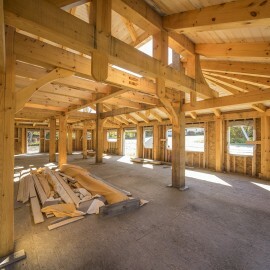 Traditional framing methods have been successfully used in the construction of buildings for a millennia. At UK Timber Limited our Sawyers and TRADA Graders have decades of experience between them, enabling us to accommodate almost any request in the shortest time frame across the industry with an eye for both the quality of the material that is being used and the finished product. We’ve supplied the machined timber for use in many structural applications including 'Grand Designs' projects, historic stately homes and smaller home builds the length and breadth of the UK - Our Customer Projects Gallery will give you an overall view of the services and products that we can offer you. All of our structural timber is cut on site from both Oak and Douglas Fir, both materials offering their own specific traits; please feel free to contact our knowledgeable Sales Team to discuss which will suit your requirements the best and for advice that you can rely on. 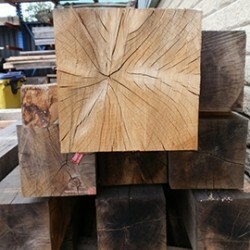 Here at UK Timber Limited we have a vast range of stock sizes that may be suitable for your requirements, however if you are unable to find the size that fits your project, you can take full advantage of our Custom Cutting Service, a service that gives you the ability to order up to 12.5 metres in length from our huge stock of trees! We operate several sawmills enabling us to offer a unique service that will allow all of our customers to custom cut to size their own pieces of timber enabling them to price their own cutting list. Our simple calculator will allow you to enter in your specified dimensions in which a price will be calculated for each piece along with a total line cost. We also offer a planing service for an additional charge using our PAR Beam Calculator. Please feel free to contact us on 01536 267 107 should you require some guidance on using our calculators. Please note: We do not offer standard section sizes for Softwood Beams. Please visit our Custom Cutting Calculator where you will be able to enter your specific dimensions in which a price will then be calculated for you. 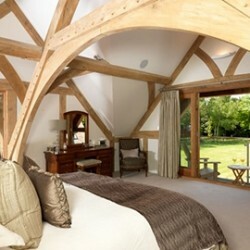 We understand that the purchase of structural timber is not cheap. Please feel reassured that our expertise and attention to detail coupled with an outstanding, subsidised nationwide delivery service has your every requirement covered. UK Timber Ltd are the right choice of supplier. UK Timber stocks and supplies a wide range of construction timber suitable for a vast array of structural applications. 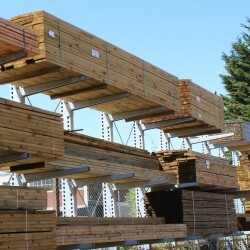 We also supply various other timbers and components for use alongside our construction timbers, such as decking supplies, wood screws and pergola components. Here at UK Timber we are able to provide bespoke and standard oak framed buildings in stock or custom sizes to meet any customer requirements. You've bought the timber for your project and now you need the tools and fixings to get the job done. 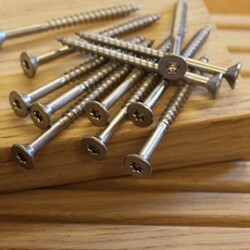 Here at UK Timber our range of high quality timber fixings and tools are enough to get any project off the ground. We stock and supply a range of landscaping screws, decking screws and galvanised nails and staples in various lengths, metals and box sizes. We've also introduced a 2 in 1 Cordless 18V Drill and Impact Wrench Kit, so you need not look anywhere else before getting started. It's important for us to know that you have the right tools and fixings for your timber, so that ultimately you get the very best result.